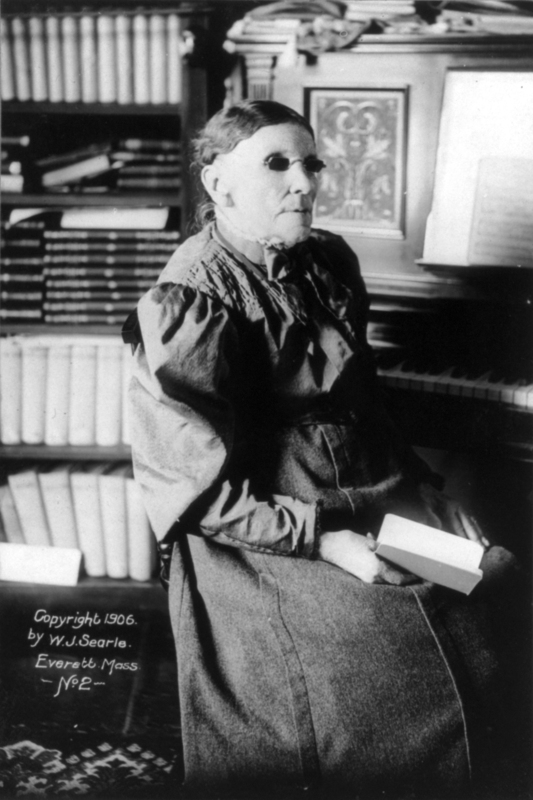 Fanny Crosby, the American hymnwriter and popular poet, in 1906. She wrote 8000 hymns, plus 1000 patriotic and popular songs and four books of sentimental poetry. She was blind from infancy but considered herself blessed; though she was world-famous and could have been wealthy, she died in virtual poverty by giving nearly everything she had to mission work among the poor. Her friends had to rescue her several times, and books were published to raise money for her, but she could always find someone who needed it more than she did.